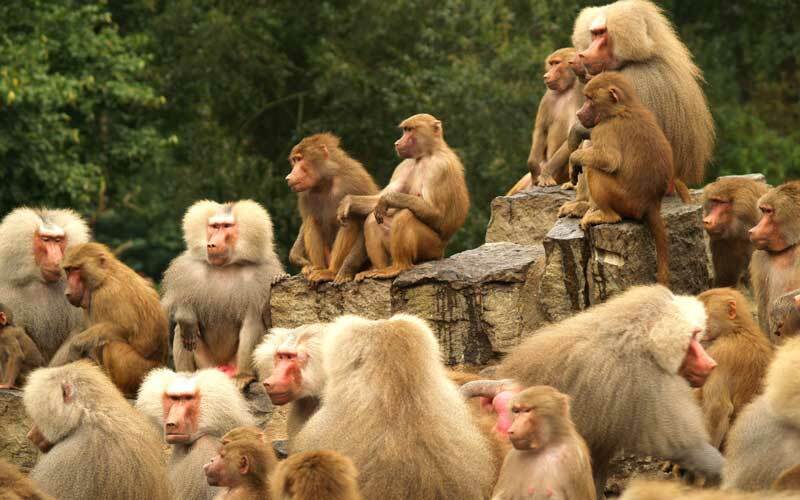 The Monkey social structure is very interesting to observe. They are very intelligent animals and need socialization for them to be able to thrive in their natural environment. The overall structure can vary based on the species of Monkey. There social feelings can also change based on stress from their environment just like it can for humans. They enjoy having fun too and bring amazing games and spontaneous events to their lives. Vocalization is the most common method of socialization for the Monkey. They have a variety of sounds that they use. This can be low chatter, clicking, and even high pitch yelling that can be heard for long distances. These sounds allow them to be able to create strong bonds, to take care of their young, and even to warn other groups of Monkeys to stay away. They will warn each other of potential risks and predators when they can too. They also use non verbal communication to show emotion. Snuggling a baby is a way for the mom to protect it. At the same time it helps the young to feel loved and cared for. Adults may sit close to each other and even touch each others faces as a means of socialization. They can use facial expressions too in order to show love, fear, anger, or sadness to each other. There are confrontations that can occur in the social groups. They are mainly going to involve males but not always. The males get aggressive over mating issues and that is why they are the ones usually involved. However, many of the Monkey species have a female in control. She may fight with other females as well. In the end she will get to decide who stays and who has to go. 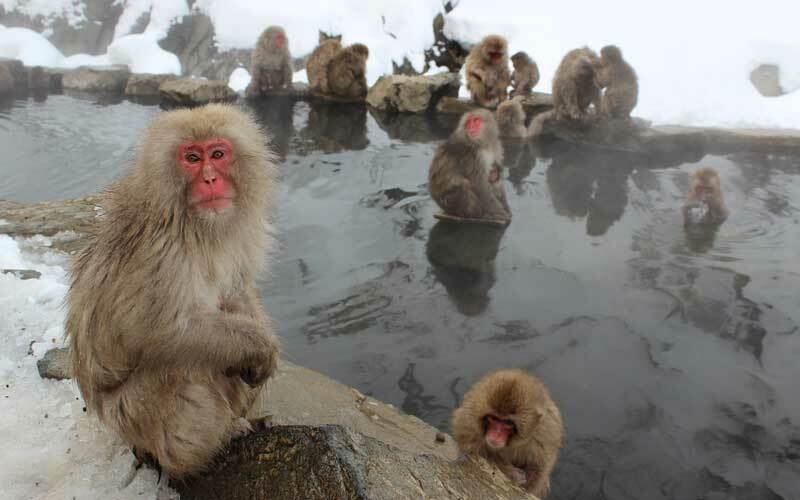 The moods of the members of a group of Monkeys can vary. If they are stressed due to lack of food or shelter then they can be on edge. It will be harder for them to keep conflicts from occurring. When there is plenty of food though and they don’t feel threatened they are more likely to live in harmony with each other. Grooming is a part of the social behavior for the Monkeys too. They take bugs and debris out of the fur of each other. They do this process for hours and hours in a very loving and careful manner. They will be offering social elements to the relationship as they do so through the power of touch. The hierarchy of the social structure is very detailed. It doesn’t matter if there are only a few members or hundreds of them. There can be many smaller groups within a larger one too. They all have their role within that group. In many instances the young will maintain the same social status as their mother. They may decide to leave the group and create their own if the aren’t content with that status. Males often challenge the leaders of a group of Monkeys too so that they can be the one that leads it. This will give them better opportunities for breeding and for eating. They will also have shelter and protection. This is why there is often a great deal of turn over in the leadership roles of many Monkeys. Most experts are in awe over the social attributes of Monkey groups. The primates are very in tune to each other and what is going on around them. They often help each other with finding food, caring for the young, and staying protected. It is very interesting to witness their interactions with each other.